There are many ways to enter charges. Clinics who use technology to automate this process as much as possible are ahead of the curve. From having EHRs that are directly interfaced with EPMs to allowing providers to use mobile applications to enter codes/charges when offsite, the fewer fingers typing charges, the less room for human error. There are many EHR systems that allow practices to create a flow where codes entered by a provider automatically correlate to a charge for the practice management and billing system. This removes the need to manually enter a charge for each CPT code performed during an office encounter. There are also mobile applications, some as part of an EHR system and some are third-party software, that allow for off-site code and/or charge entry by providers. If administrators are not able to use these technologies, then the staff responsible for charge entry via face sheets and superbills must be coached on accuracy and attention to detail. Once charges are entered, they must be reviewed against the documentation of the encounter for coding accuracy and edited for any needed modifiers or missing codes/charges. This requires the staff that is reviewing these charges be aware not only of medical coding guidelines but also various payer rules. Charges must also have correct demographic and insurance information entered before becoming claims. If the documentation, demographics, or insurance is not complete, the charge should not be submitted for billing. These should be reviewed regularly and workflows edited as needed to assure improvement and efficiencies. The delay in entering charges should be less than 4 days from the date of service to meet industry standard (according to MGMA 2017 Practice Operations survey based on 2016 data). To avoid voiding claims, resubmission, or other claim delays, charges should be accurate and complete the first time entered and submitted for billing. Medical coding should also be accurate and complete. Training and data gathering on coding guidelines and payer billing rules should be done consistently to assist with accurately entering this information. 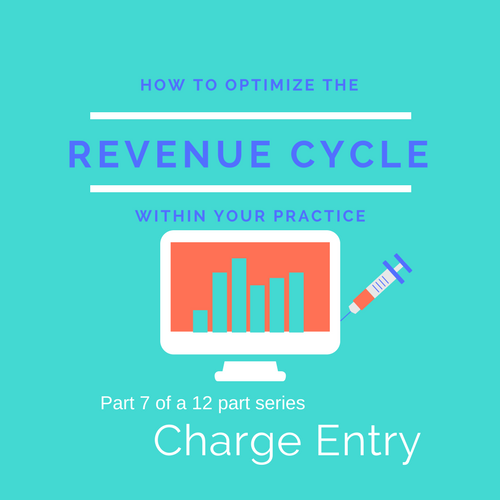 The practice’s fee schedule is the last aspect of the charge entry that should be reviewed. How a practice’s fee schedule is developed and what those fees are is of much debate recently. The political climate regarding the “high cost of healthcare” is alive with who is to blame. I won’t address any of that here. Each clinic creates their fee schedule separate from their neighbors and in different methods. In addition, each insurance contract with clinics can have a different payment schedule. Thus, what clinic A is paid by insurance X for a certain procedure code can be different than clinic B (same city) is paid for the same procedure by the same insurance company. Vendor pricing uses manufacturer suggested retail price (MSRP) to set the price. This is a price suggested by suppliers for retailers to use that allows them a decent profit over the cost of the product. This is similar to the use of Resource-Based Relative Value Scale (RBRVS) to create the practice’s fee schedule. The RBRVS calculation is performed by taking the relative value units (RVU) of the procedure code by a multiplier. Most clinics use the multiplier conversion factor established by CMS each year. Another version of this is to take the Medicare allowable and to set the fees within a range of 200 – 400 percent above. This makes the calculation simple and removes any potential political or ethical decisions from the creation of fees. Competitive pricing is another popular method among clinics. Here, administrators purchase an analysis of fees from their region and/or for their specialty that have been submitted to insurances or CMS. These are updated annually and can be purchased from Frank Cohen Group or Optum360 for example. 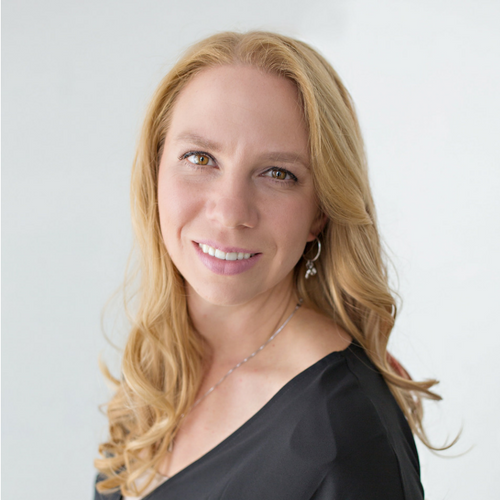 With these clinics are able to set their pricing similar to their local competitors. $100.00 from the rest (including self-pay patients). Taking a practice’s patient mix into account will help the administrator determine the best pricing strategy to use and help set fees. It is suggested that a practice review its fee schedule annually. This review should start with determining the utilization of codes, then focus on the top 10-20 codes used in the year. The review should include verifying any contract payer payments. Payers may update their fee schedules without directly notifying the practice. Payment posters should be aware of these changes as they occur, but this annual review will help catch any items missed. There should only be one fee schedule for the practice. Charging different fees to different patients based on their insurance will put the clinic in a legally risky situation. Instead, practices should maintain listings of payer’s fee schedules and use these when posting payments (we’ll discuss this more in another blog). Also, establishing self-pay discount and charity care policies will allow clinics to adjust fees with sufficient justification. With a sufficiently justifiable fee schedule, charge entry for the clinic should be straightforward. Administrators must look for automated solutions to remove possible human error in the entry process including missing charges. Knowledgeable staff, or outsourcing to specialized contractors, is needed to stay on top of changing coding regulations and payer charge rules. With the assurance that charges are correct, accurate, and that documentation is complete with full demographic and insurance information, this step of the revenue cycle is concluded. Code Quick is available to help with some or all of your coding needs. No clinic is too small or large. We will help with your backlog, while someone is out of the office, or take on your full workload. Give us 30 seconds and we’ll get you custom pricing and a Free Trial!